Chemical blending is one of the frequent kind of chemical process that is commonly used in application. The mixing procedure can potentially save manufacturers time, labor, inventory, and transportation costs. Organic and inorganic chemicals can be blended. Substance could be blended in liquid form to a variety of pH levels and viscosity. This services consist of multi-component blending, homogenization, liquid compounding, high Intensity and liquid powder combination. For manufacturing of compound system “USB” the most important the choice of materials and compatibility of components. “USB” is used in case of cultivation of substances, and also during the mixing and preparation of different chemicals. At the request of the customer we make diagrams for specific distribution of products. Productivity and automation level of combination system is defined by its components. 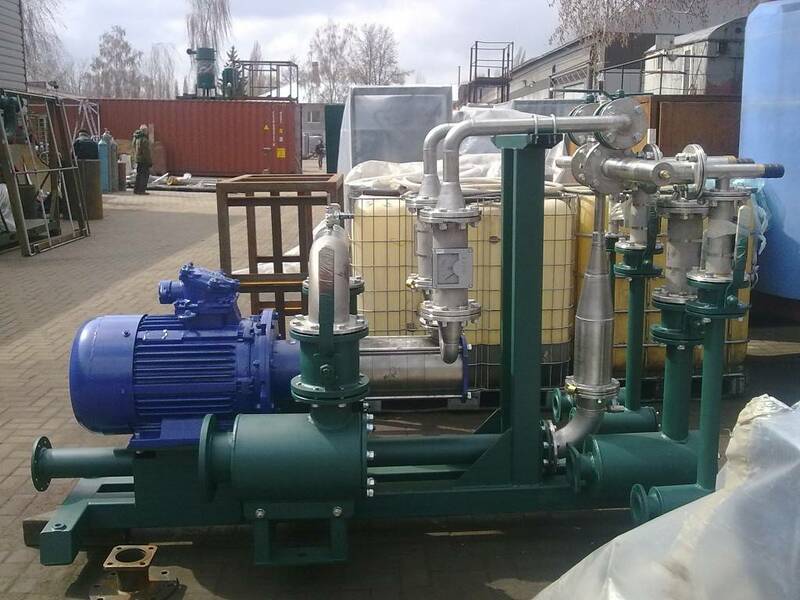 GlobeCore supplies blending chemical equipment for the worldwide chemical industry. Company has designed and manufactured industrial blending chemical systems “USB” for over 12 years. “USB”is equipped with the high-tolerance additives batching electronic system with digital display, allowing to set the components dosing extremely accurate. Mixing chemical process is used in hydraulic blender. This process allows supplying of all components simultaneously according to the set formula to batching collector. Through the collector finished product is delivered to storage vessel. The advantage of such technology is in the following: each component dosing accurate control, substantial reduction of batching process duration, no need in batching vessels for finished product homogenization. In the course of blending chemical process at stream mixer the consumption of each component are permanently controlled for the purpose of providing finished product outlet with steady quality parameters, set with the formulas. Finished product, received from stream mixer, has homogenizing structure and component content in accurate compliance to set formulas. If you want to reduce expenses of you company for mixes production, “USB” cavitation blending system could help you to do that. To receive extra information contact us and technical manager will call you back or download inquiry list and receive free catalog.